The organisation charged with attracting investment to Hull is to close, with the loss of 34 jobs. 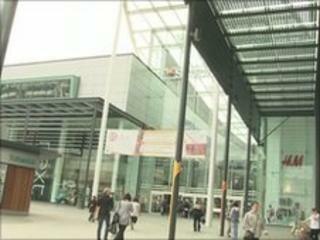 Ian McIntosh, chairman of Hull Forward, said it had been hit by public sector spending cuts and was planning to close operations on 30 September. The regional development company was set up in April 2008. Mr McIntosh said he was disappointed but "proud of the significant achievements made by our dedicated, professional and passionate team". In a statement, the company said: "Yorkshire Forward and the Homes and Communities Agency (HCA) have reluctantly confirmed that there will be no funding towards the running of Hull Forward beyond 30 September following significant public sector funding cuts across the country. "Hull City Council has indicated that a similar position is likely. This means that without funding, the company will be obliged to cease operations at this time with a full closure expected by the end of the calendar year." Hull Forward said it had entered into a consultation period with its 34 employees and would "explore every opportunity to help the staff facing redundancy". Mr McIntosh said regeneration projects such as St Stephen's, Humber Quays and the current construction of the River Hull footbridge would not have happened without the work of Hull Forward. He said: "Despite Hull being one of the most severely affected cities in the UK during the current recession, we have also created a strong platform on which a successful, sustainable economy for Hull can be built. "In the last financial year alone we have helped to create or safeguarded nearly 1,000 jobs and have been involved in securing £2.6m of grants that will put a further 400 new jobs in the pipeline for the next two years." Mr McIntosh said he hoped some of Hull Forward's planned projects could continue with funding from Hull City Council, regional development agency Yorkshire Forward or the HCA.